Which, if you remember, I was too busy to see. However, I did make it to the Starry River of the Sky performance! And, I am so, so glad that I did. I was very interested on how the story would translate on stage. 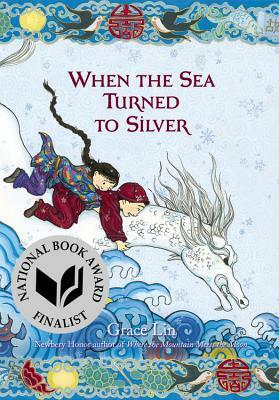 Even as a book, Starry River of the Sky is trickier than Where the Mountain Meets the Moon. It asks more from the reader. 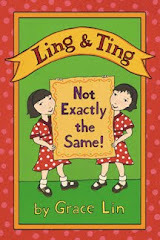 The themes are deeper and the characters are more subtle. But even though Starry River of the Sky is a little bit more challenging, my hope is that readers find it that much more rewarding. Jeannine Coulombe was able to compress my dense book into a gorgeous, touching and truly moving 90 minute play. 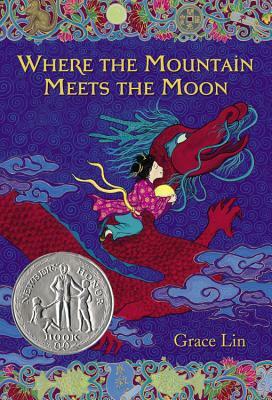 I think I like this adaptation even better than the Where the Mountain Meets the Moon adaptation she did earlier--and I didn't think that was possible! And the acting was amazing. The main character, Rendi, is a hard part to play. At first he's unlikeable, but you slowly learn he's so prickly because he's so wounded inside. And as he heals, he emerges as the hero. Andrew Moy played him perfectly with the blend of vulnerability and anger with a realistic transformation into compassion. 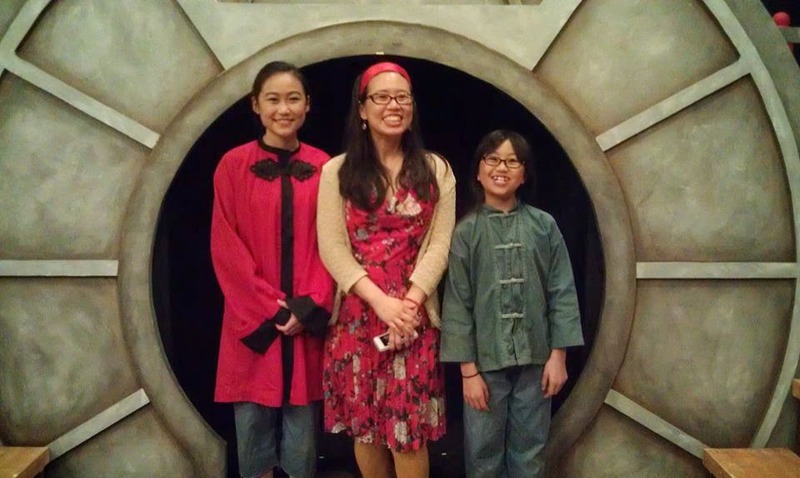 Peiyi, played by Julia Patterson, was ideally endearing and sweet-- exactly how I pictured her. Mr. Shan (Maxwell Thao), Madame Chang (Naomi Ko), Master Chao (Yen Thao)...everyone brought the characters to life in just the right way. I was so incredibly impressed! 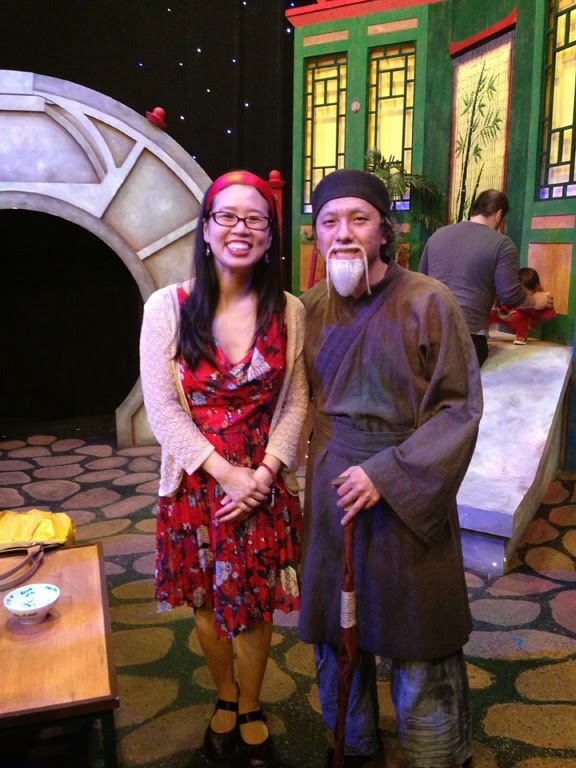 Peiyi (Julia Patterson), the toad and Rendi (Andrew Moy)-- after the show! I've had some bittersweet moments about Starry River of the Sky which has sometimes made me doubt my direction. But when I was watching the story being performed, I almost forgot that I wrote it...and when the play was finished I was so proud that I had. 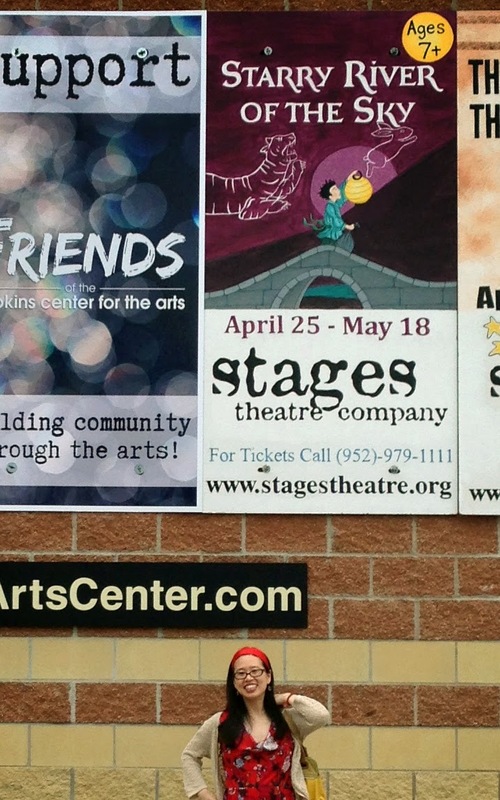 By putting on this production, Stages Theatre has given me such a lovely gift. And, I think it'll give you one too. Go see it!